I am so excited to be going digital with my lab books this year. Despite being a "techy teacher", I have always had my students keep a graph paper composition notebook for labs in chemistry. For this lab, my students were provided with a lab handout as a Google Doc that would force them to make a copy. This was done by sharing the link to the doc and changing the word "edit" to "copy". It was my first time doing it and it worked like a charm! Students then used their copy to write their purpose, answer their pre-lab questions, and record their dat while working in lab. My students all have an iPad, so that is the device they were working on. 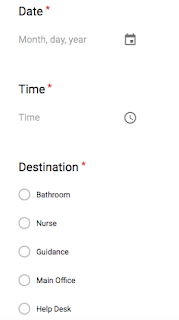 In a shared folder with my class, I created a class data sheet. Each group typed their data into the sheet and we ended up with a beautiful collaborative data table. "Do you get it? ""Does that make sense?" "Do you understand?" Since I can't actually get inside my students heads, I find myself constantly asking myself and asking my students these questions. I want to ensure they understand the concept and be able to work in small groups with the students that need additional assistance. When technology was introduced into my classroom, I knew there had to be a better way. 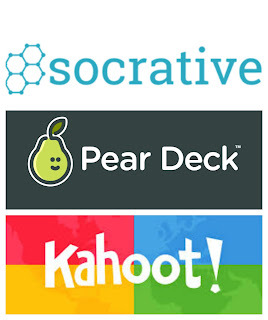 I discovered these three tools and my classroom has never been the same!